The sort of economies of signs and space that became pervasive in the wake of organized capitalism do not just lead to increasing meaninglessness, homogenization, abstraction, anomie and the deconstruction of the subject. Another set of radically divergent processes is simultaneously taking place. These processes may open up possibilities for the recasting of meaning in work and leisure, for the reconstitution of community and the particular, for the reconstruction of a transmogrified subjectivity, of space and everyday life. The landscape in which we move is becoming increasingly artificial. There is much talk of a second modernity. Old values and instruments no longer work. Property developers, architects, artists, banks, the media, scientists and multinationals are all devising new spaces and images in order to give a lead to this new reality. This incoherent situation allows for plenty of room for experiment. The smoothly operating newness of everyday moments is something that attracts many innovative or critical designers. A vacuum has been created in which an unprecedented degree of innovation has a chance of success because nobody knows what the appropriate response to this situation really is. Research, analysis and experiment are being promoted by almost all the parties that have a stake in the artificial landscape. There is scope for a host of inventors of the new. 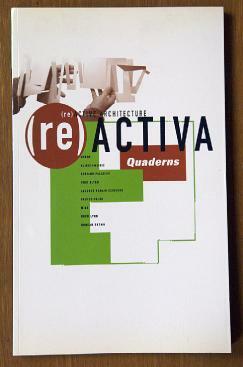 Only Quaderns published the complete version. In the television documentary "Snack Art " (VPRO, Dutch television) Fresh Conservatism played a prominent role.